Yes - Autocrypt and Delta Chat are on the 34th Chaos Communication Congress in Leipzig, Germany. If you want to know more about these projects or if you want to get involved, we would be very glad to see you there. 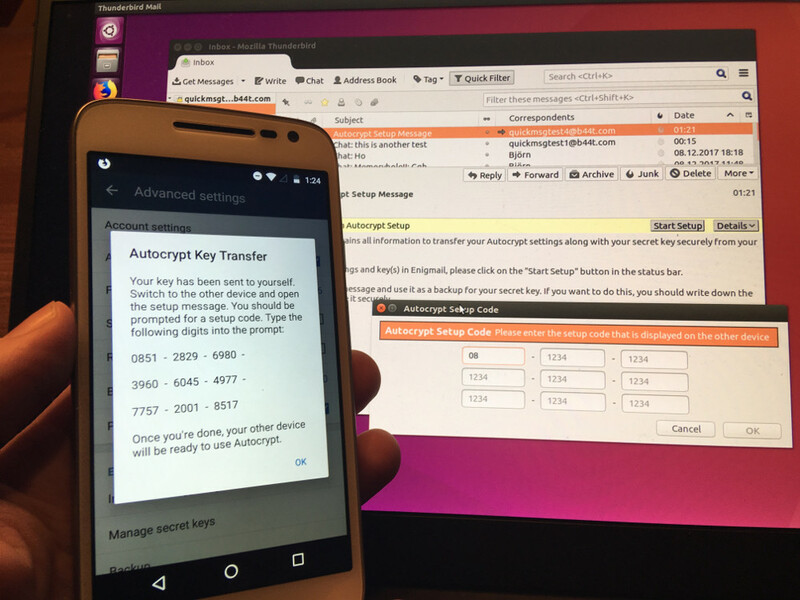 The latest Beta Version of Delta Chat (APK is available at Downloads, F-Droid-Version is pending) allows you to transfer your key from Delta Chat to other Autocrypt-compatible devices. Already today, this works with Thunderbird and the Enigmail Nightly Build - thanks to Patrick from Enigmail for the great work. In the near future we expect this to work with other clients and Delta Chat will also be ready to receive keys then. Heise (a big IT news site in Germany) has already reported about it and Posteo announced to send Autocrypt-compatible headers. All this efforts will allow the Delta Chat users to communicate to more people encrypted - whether they’re using Delta Chat or another client. With the new Albanian translation, the Delta Chat community has translated the app into 20 languages. Without this growing community, that also helps on bugs, new features, testing, developing - here, on github and in real life - Delta Chat would not have been possible.